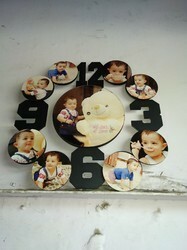 Providing you the best range of half wall clock, wall clock and sublimation coating with effective & timely delivery. We have earned a sterling reputation in the industry for wholesaling wooden Half Wall Clock. The offered photo frame is made in tune with the industry standards and is available in a wide range of designs. This frame is durable, resistant to scratches and can be kept on the table as well as hanged from the wall. It is non-abrasive, seamless in terms of finish and available in a wide range of designs. We have earned a sterling reputation in the industry for wholesaling wooden Wall Clock. The offered photo frame is made in tune with the industry standards and is available in a wide range of designs. This frame is durable, resistant to scratches and can be kept on table as well as hanged from wall. It is non-abrasive, seamless in terms of finish and available in a wide range of designs. 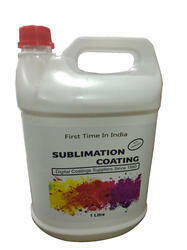 We have sublimation Coating it is use for Hard Surface like GLASS,CERAMIC,TILES & METAL.